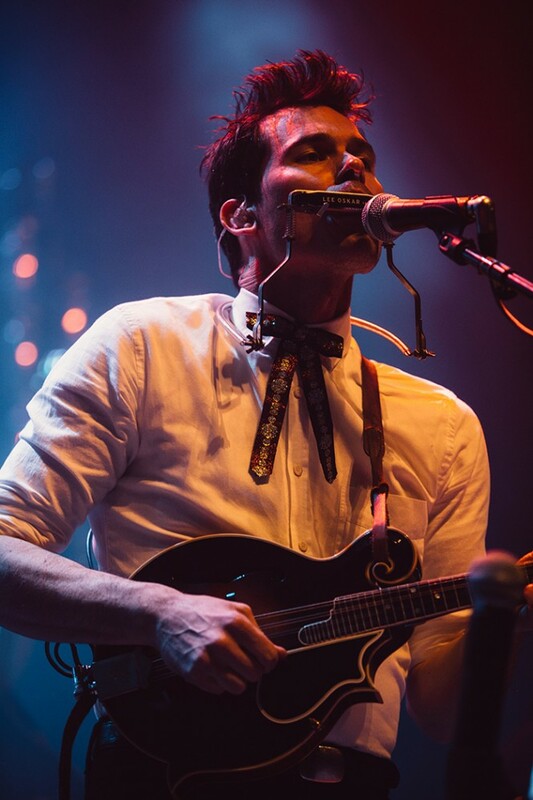 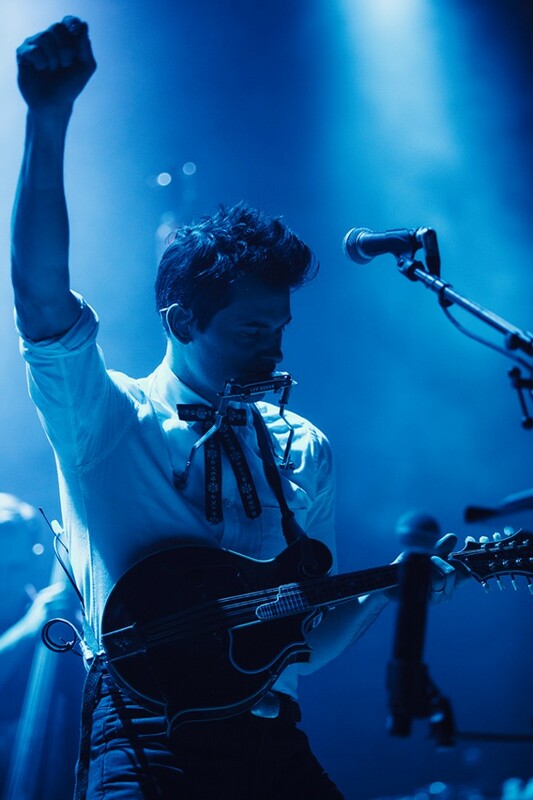 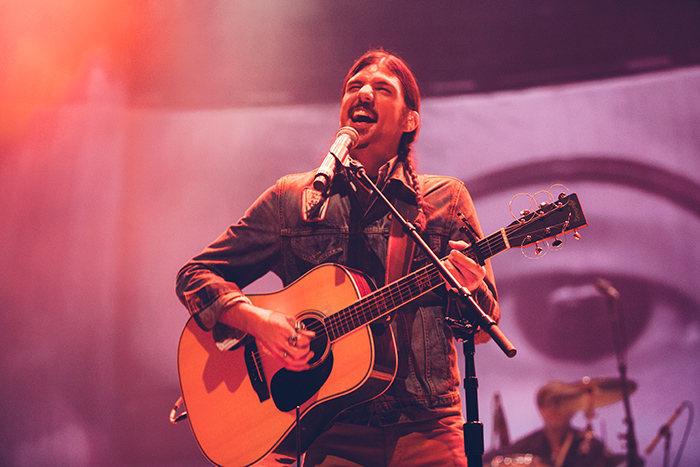 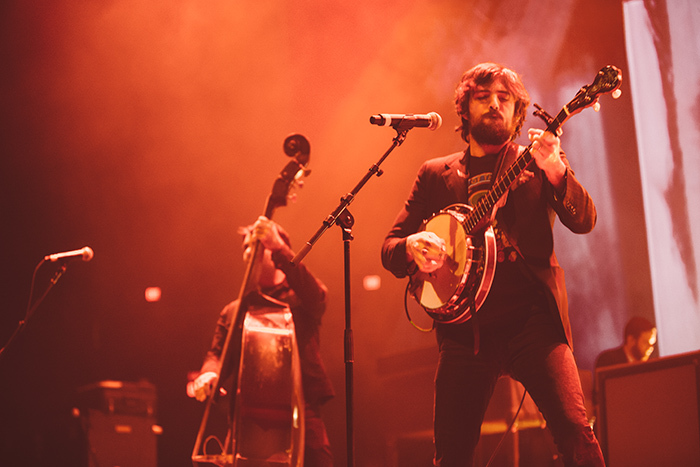 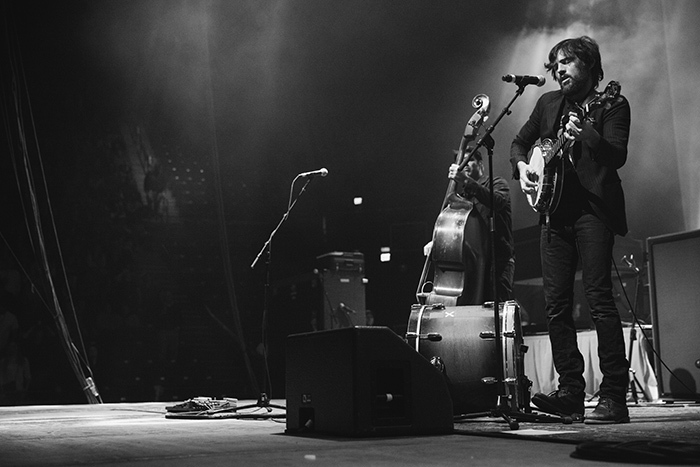 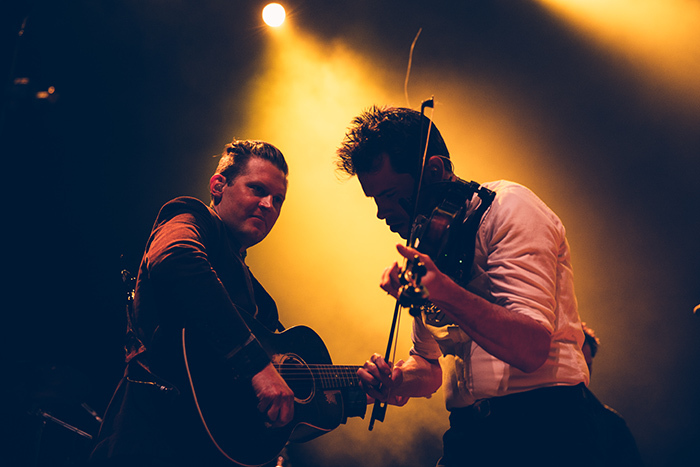 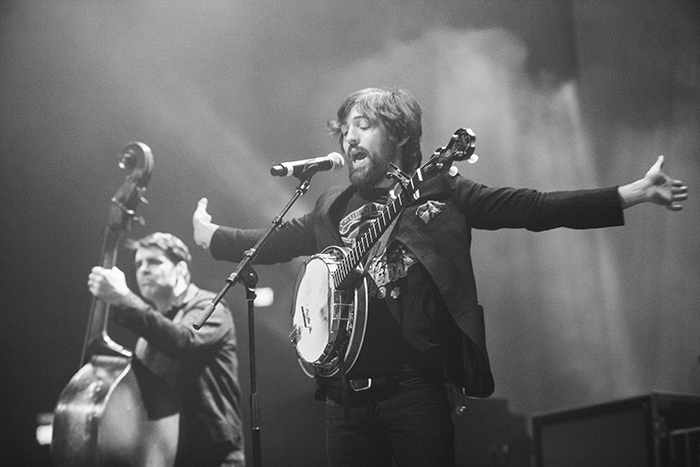 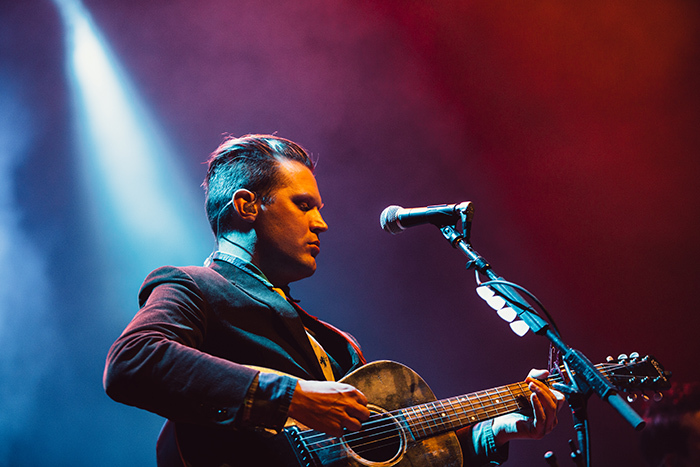 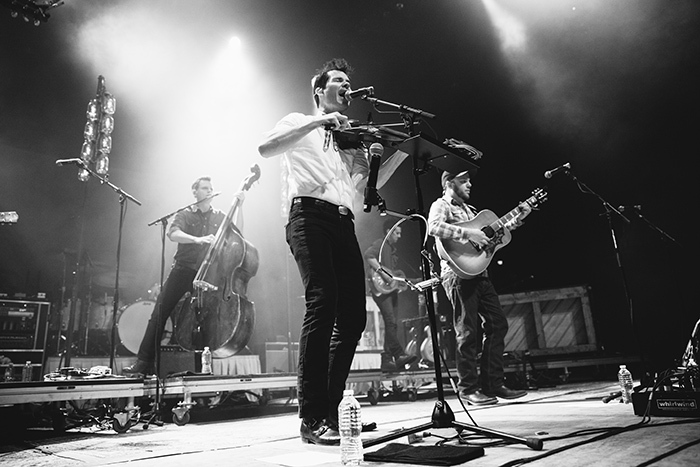 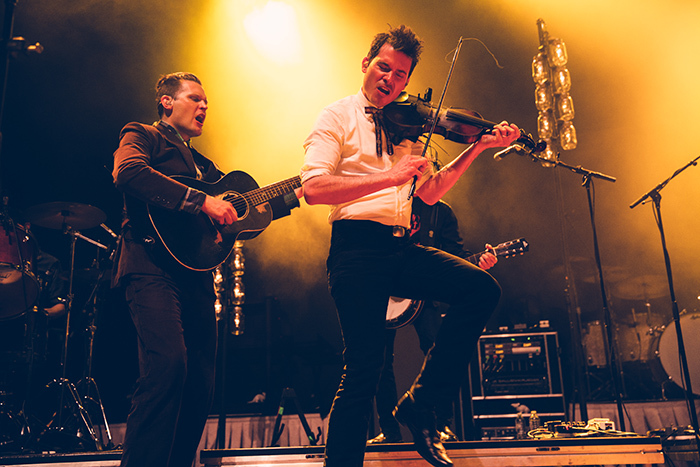 review | The Avett Brothers + Old Crow Medicine Show in D.C.
Old Crow Medicine Show opened for The Avett Brothers at the Patriot Center last Friday. 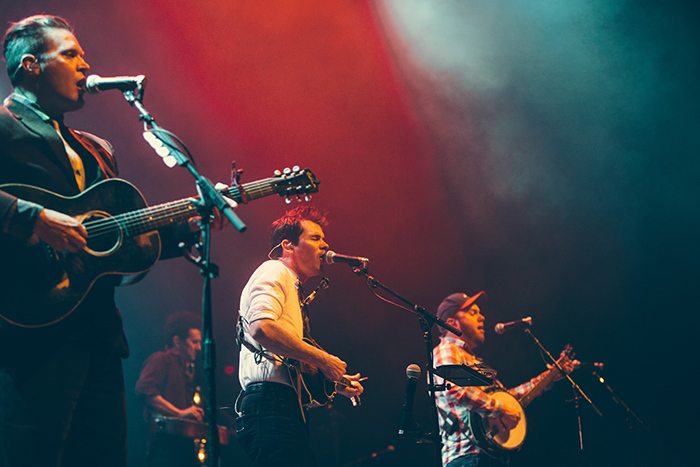 The 7-piece group began busking on the street corners of New York and worked their way up to RIAA’s Platinum certificate, selling 1,000,000 copies of their hit, “Wagon Wheel.” They also snagged a Grammy for “Best Long Form Music Video” last year. 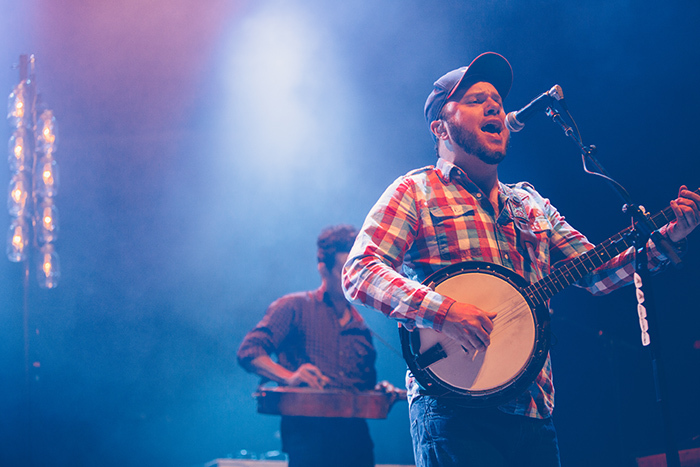 The group warmed up the crowd with some classic American root music, just before the folky headliners took the stage. 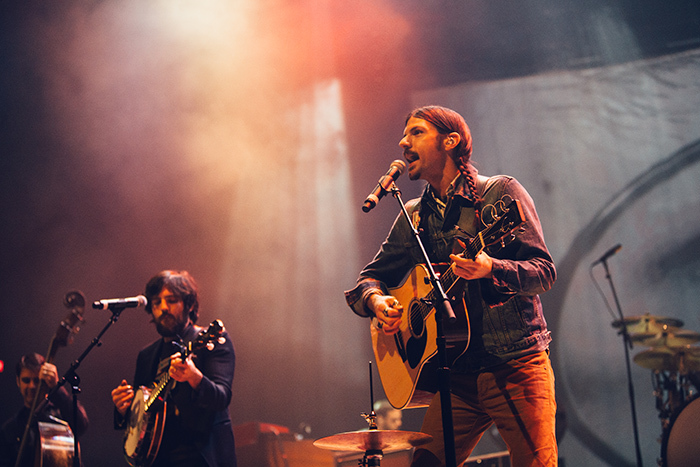 The Avett Brothers brought grace and intensity from start to finish. 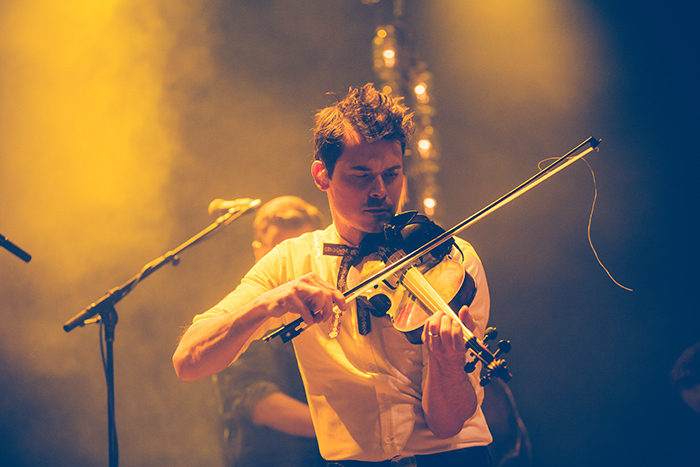 After their October 2013 release of Magpie and the Dandelion, which reached #5 on the U.S. 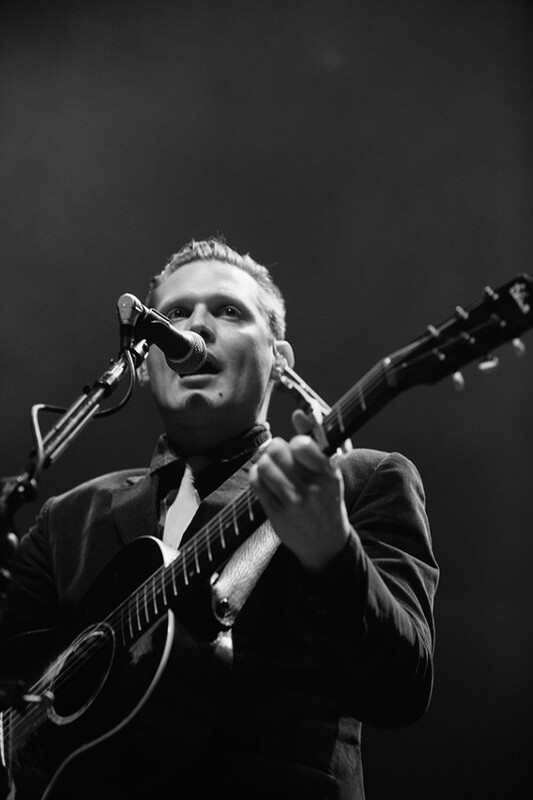 Billboard 200, the quintet brought an emphatic show. 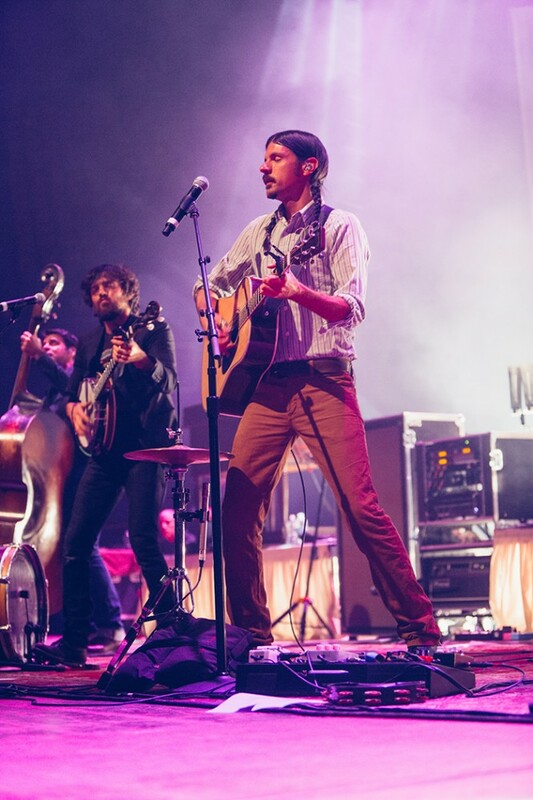 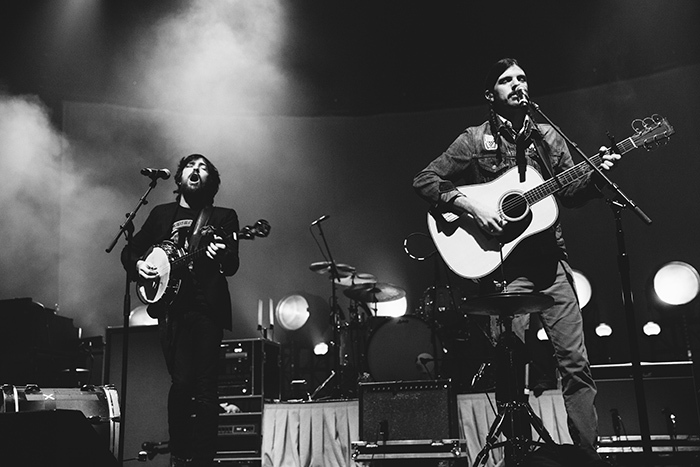 Seth and Scott Avett took lead and backing vocals, incorporating the kick drum, tambourine, harmonica, hi-hat, and more to the front of the stage. 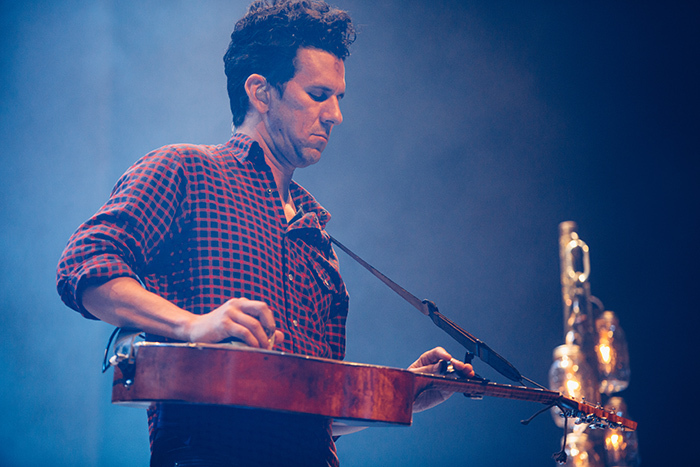 Bob Crawford strummed his double bass, occasionally jumping to the trumpet. 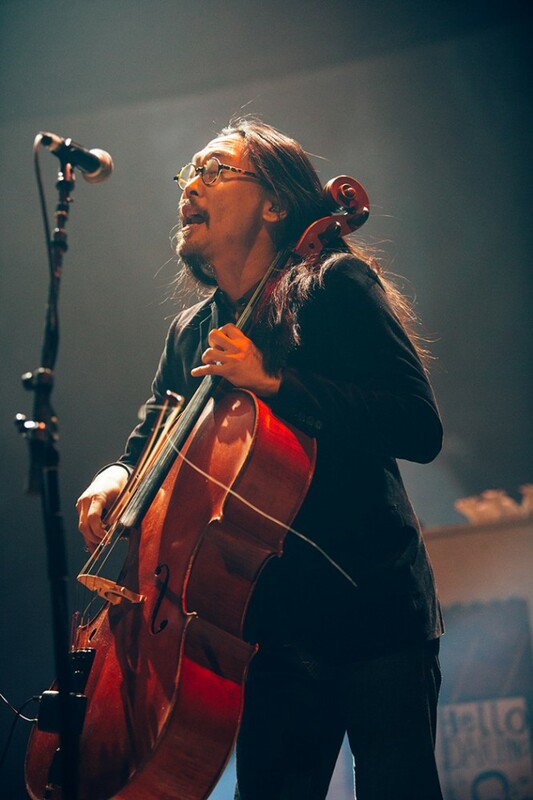 Joe Kwon shredded his cello and Paul DeFiglia pounded keys – all while Mike Marsh vitalized the group’s pulse on drums. 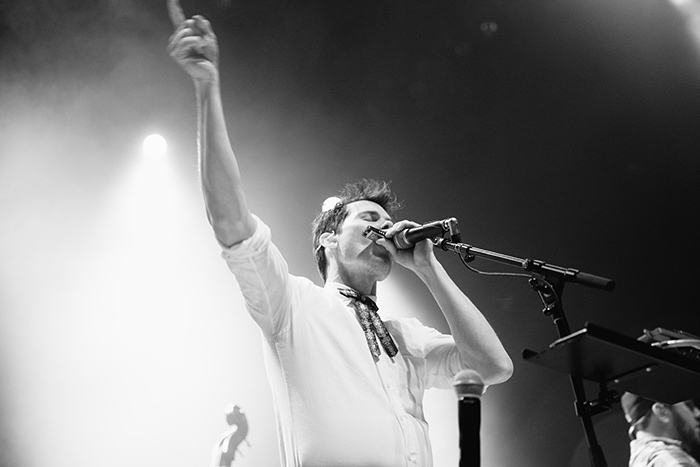 Check out photos by Andrew Markowitz illustrating the gig. 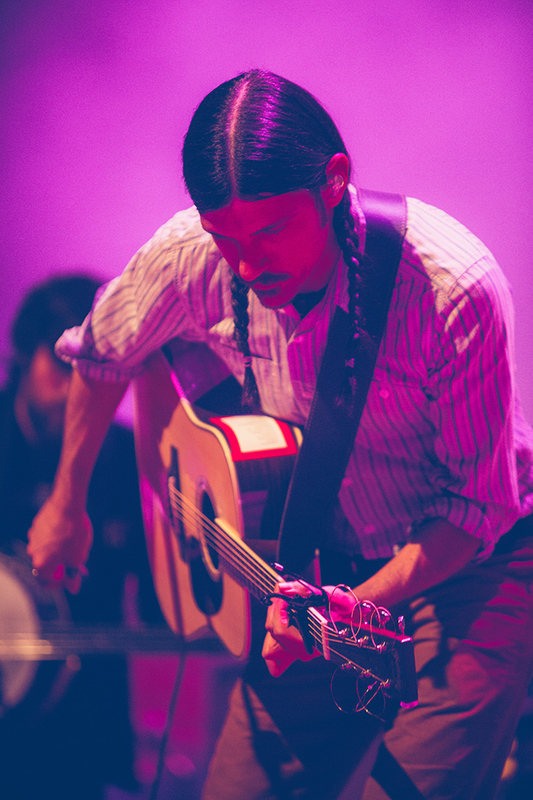 All photos courtesy of Andrew Markowitz. 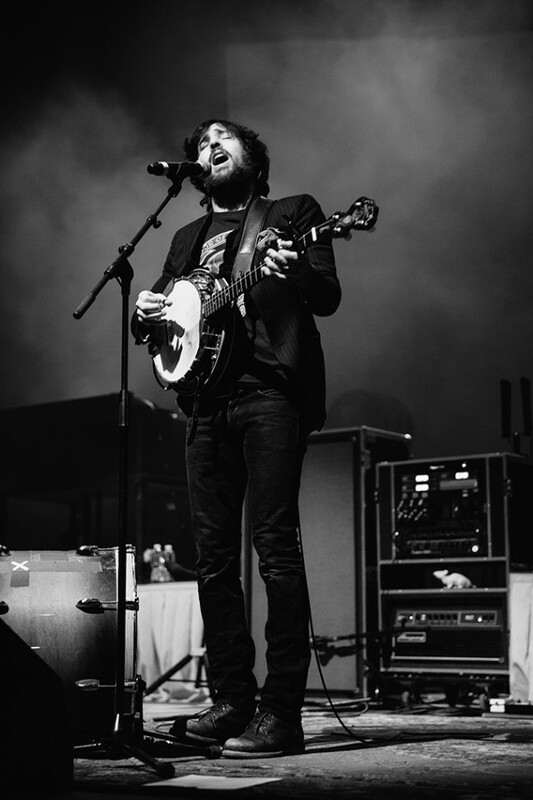 american andrew markowitz Avett Brothers bluegrass folk Indie Rock old crow medicine show patriot center virgina washington D.C.